Financial exclusion remains a significant problem in the UK. Tom Blacksell outlines the role better financial education has in improving the picture as part of Credit Awareness Week. We continue to live through a period of significant economic and political uncertainty. Over the past year, the UK has slowed, with household incomes increasingly under pressure. Promoting a better understanding about how the credit economy works and improving financial awareness is essential, if people and businesses are going to cope in this changing and complex external environment. By becoming more financially aware, people can make choices which are more sustainable, no matter what happens in the economy around them. 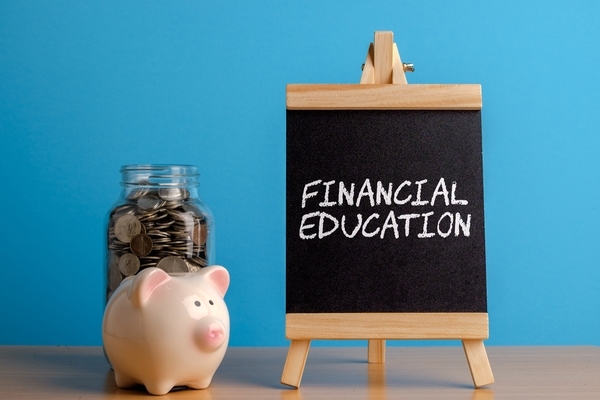 As an industry, we all have a responsibility to support this, helping people of all ages to obtain the knowledge and skills needed to take control of their finances. For many years, we have been committed to doing this through our credit and financial education programmes, including our long-standing partnership with Young Money (part of Young Enterprise) which has helped more than 25,000 pupils, parents and teachers improve their money skills. Credit Awareness Week is therefore the perfect opportunity to continue that focus, encouraging like-minded organisations to work together and ultimately drive better outcomes for our customers, particularly those who are financially excluded. And financial exclusion remains a significant problem in the UK. Our research suggests that there are approximately 5.8 million people who are virtually invisible to the financial system because there is insufficient information available on their credit file. These ‘Invisibles’, consumers with little or no financial information (sometimes referred to as those with ‘thin-files’ and ‘no-files’) can find themselves excluded from mainstream finance, or face higher costs to access the type of financial products and services that most people take for granted. We believe, the solution to this issue lies in a combination of industry-led financial education - helping consumers to take control of their financial data and understand it’s value - coupled with the use of new, relevant data sources which can help build out thin credit files and deliver better financial products and services for everyone. The highest quality decisions are made on affordability when there is sufficient data available. At Experian, we have pushed for new, more appropriate data sources to be brought into the equation so that people can get access to more affordable and appropriate credit. We introduced rental payments to credit reports in 2018, a landmark moment for the industry. And it’s heartening to see that in our annual poll most people agree that rental data should be included in lending decisions. Open Banking has empowered people to share their bank transaction data and we believe it will revolutionise how we all use that information to make good financial decisions – this is true whether you are a consumer or a business looking to grow. Building financial awareness is another fundamental factor. We need to be empowering people to make more sustainable decisions and understand the options available to them. However, our annual Credit Awareness Week consumer survey shows there’s still a bit of work to be done in that area. Around 49 percent of people we asked have never checked their credit report, and this rises to 72 percent among people aged 18-24. Alongside this, nearly one in three people (28 percent) still think, incorrectly, that Credit Reference Agencies make lending decisions. Moreover, even though Experian and other companies have launched several innovative new eligibility services in the last 12 months, which can help build confidence and streamline the process of applying for financial products and services, 50 percent say they still don’t check their eligibility before applying for credit. Awareness about eligibility services is particularly low in the older generation, just 14 percent of the 55 and over age group have ever checked, compared with 34 percent of 25-34 year olds and 20 percent of 45-54 year olds. For me, these figures simply underline the importance of our campaign. Promoting a better understanding about how the credit economy works, so that people can take control of their financial situation with positive, proactive decisions, is fundamental for the success of our society. Financial awareness helps people and growing businesses to make better, more sustainable choices, even if the economy around them becomes more challenging.